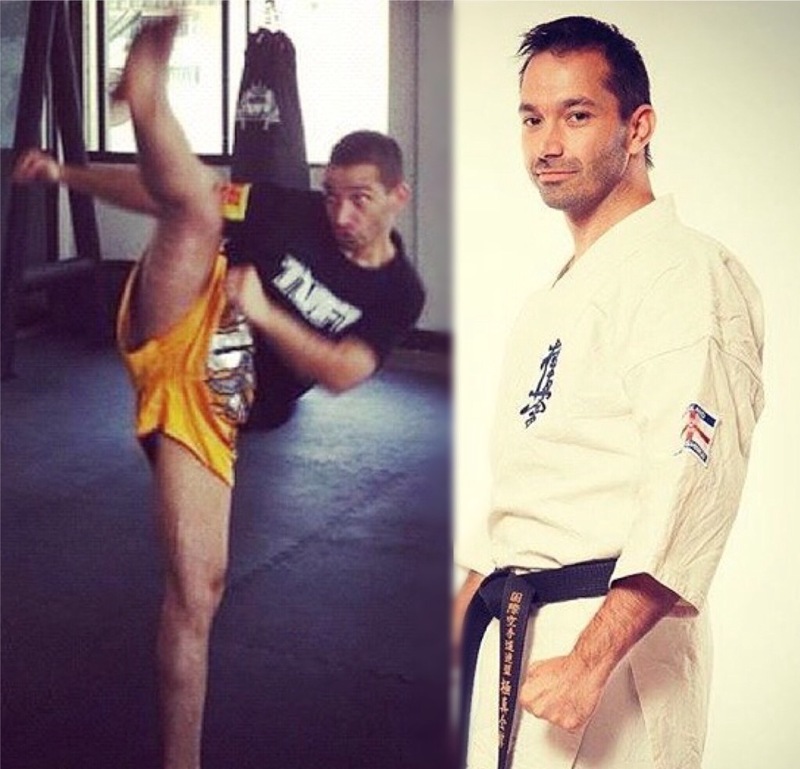 Chief Instructor of Elite Fighting Arts, Mr. Omid Khademzadeh was born December 20th 1980 to an Iranian father (Mostafa Khademzadeh) and English mother (Georgie Fairman). He began his martial art career on Wednesday the 1st of August 1990 under the instruction of Shihan Joe Ellis, who was then a 2nd Dan. In 1992, Omid was awarded the NAKMAS Student of the Year, the same year he was selected for the junior international kumite team. In 1994, he became Shodan (Tsuyoi-Ryu meaning power school), a Shotokan-Kyokushin derivative. Omid began teaching his own group in 1998 called Tsuyoi-Jutsu-Kai (Meaning the society for the application of power). In 1999 Omid began training in Kyokushinkai with the BKK under Hanshi (Professor) Steve Arneil, Crystal Palace Dojo. Omidâ€™s 1st full time Dojo was opened on the 16th October 2000. By 2002 he had 50 licensed members. By 2003, he had officially joined the BKK and closed his existing clubs to concentrate on his own karate training with a view to re-open another school under the banner of Kyokushinkai and the IFK. He also continued to train under the instruction of world Kyokushin leader, Hanshi Steve Arneil (10th Dan). Mr Khademzadeh represented the BKK in a demonstration of Kata Tensho in the 3rd IFK world tournament in Oct 2005 (the video of the Tensho demo can be seen on our Kata videos) and also begun teaching again in 2005, but successfully re-opened his own dojo under the name of Kyokushin Academy on the 7th June 2006 with the backing of Hanshi Steve Arneil 10th Dan, with a new full-time dojo opening on the 20th October 2008. In 2012 Omid travelled to Thailand and trained in Muay Thai at TUFF camp and trained with Muay Thai fighter and legend Kru Orono, attributed as being within the top 10 Muay Thai fighters of all time. (click on name for highlight) Orono Por. Muangubon. As a result of this relationship the Kyokushin Academy became an official partner camp for the Muay Thai - TUFF brand. Omid also received his England badge as a BKK knockdown fighter & continues to coach new fighters and members in Kyokushin style Knockdown fighting, Thai Kickboxing and traditional Kyokushinkai Karate. Omid Khademzadeh & Elite Fighting Arts, Full NAKMAS Affiliate. Accredited Safe Kids Campaign. 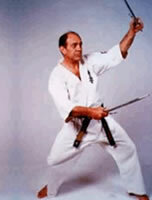 Shihan Joe Ellis - Omids Tsuyoi-Ryu & first instructor. Hanshi Steve Arneil - 10th Dan, training with Sai. Omids Kyokushinkai instructor. Hanshi and Omid at Summer Camp 2007. Omid with Actor and Kyokushin Sensei - Dolph Lundgren. Omid training at Muay Thai TUFF camp Thailand with Kru. Orono Por Muangubon 2012.